Enjoy a FREE trial subscription with 3 months of savvy, opinionated travel information and inspiration from ManAboutWorld Magazine. You’ll get instant access to our current issue in 60 seconds or less. Kindle Fire users, click here. Windows Surface tablet users, click here. We firmly believe that travel—the authentic, personal experience of different peoples, places, and cultures—is transformative. 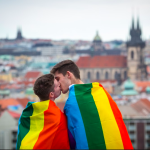 Being gay allows us to cut through many of the formalities and barriers that separate most other travelers from the people and places they visit. And in so doing, we experience a profoundly intimate global connection that few others will. We believe that our freedom to travel comes with a responsibility to advance the cause of freedom for LGBTQI people all over the world. Are our values a match? We are proud to be a Media Sponsor of the OutRight International.